A man was seriously injured in a stabbing outside a Leeds shopping centre. 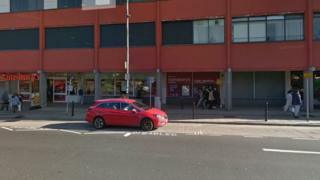 The 40-year-old was taken to hospital after the assault outside Sainsburys in the Arndale Centre, Headingley, at about 01:20 BST. Otley Road was shut but has now reopened. Police said a number of officers remained in the area while inquiries were ongoing. A 22-year-old man has been arrested on suspicion of attempted murder.